MCIT is launching a development program for supporting ICT Micro and Small Enterprises (MSE)s with a total budget of 30 million EGP. Ministry of Communications and Information Technology (MCIT) launches a development program for supporting ICT Micro and Small Enterprises (MSE)s with a total budget of 30 million EGP today. The project aims to develop Egyptian IT products as well as build-up marketing capacities of national companies in order to open new markets for them locally and regionally. This, in turn, will help these firms increase their IT exports. The project comes within the MCIT emergency measurements to boost over 600 MSEs operating in the sector. Hence, the MCT will offer the required aid for overcoming financial and marketing obstacles that erupts their activities due to current circumstances. Moreover, the project comes within the Prime Minister given instructions to speed up the process of taking such measurements. Minister of Communications and Information Technology, Dr. Mohamed Salem stated that the launch of this program is part of the responsibility towards supporting MSEs during such a key phase in Egypt's history. In addition, such bid has to do with the belief in the importance of moving forward to maintain the previous years' achievements. Dr. Salem added that other factors include the persistence to achieve more growth rates for such a vital sector that plays an important role in pumping the national treasury. Based on the priorities we defined for the coming phase, he said, MSEs are to be supported nationwide with 30 million EGP with an emphasis on remote governorates. Dr. Salem further pointed out that the prime minister agreed to pay the ministries and government entities’ dues for these companies reaching around 100 million EGP, in coordination with the Ministry of Finance. He stressed that once a company finalizes its assigned operations, it will immediately receive all its due payments. Information Technology Industry Development Agency (ITIDA) CEO, Mr. Yasser El-Kady said the program entails two projects. The first project focuses on developing the products of Egyptian ICT MSEs. Twenty million EGP has been allocated for the program aiming to enhance the companies’ products, so as to raise their potential and competitiveness in local and regional markets. The second project has to do with backing up the marketing process at Egyptian ICT MSEs. Ten million EGP has been allocated to the project whose purpose is to help market the companies' products locally and regionally. It also aims to open new markets for their national production and boost the Egyptian exports in this domain. The implementation period for both projects is to be finalized in June 30, 2012. The two projects are liable to a number of mechanisms. These mechanisms include: forming a specialized committee from ITIDA and the MCIT for each project to facilitate its operations and supervise the implementation phases. 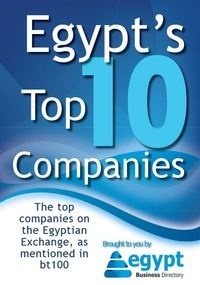 Priority will be given to micro enterprises and purely Egyptian companies and those registered at ITIDA before 2012. Companies will submit their proposals for the first project within 10 days of the announcement. The committee in charge of the second project will receive the companies' proposals to attend exhibitions or conferences to be organized during 2012 no later than 15 days of the announcement. The priorities and reasons for attending every event have to be defined for each company. Evaluation and selection process of the submitted proposals will be announced before February 28, 2012. Contracts are to be carried out on March 1, 2012. The budget for each submitted project in the first project should not exceed 100,000 EGP and 50,000 EGP for the second project. The financial aid for the companies will be cashed over four phases throughout the duration of the product implementation after the committee approves the output of each phase. Registration, after being opened for the companies listed in ITIDA's database, will be undertaken for the two projects via the agency's official website www.itida.gov.eg.